Irish Guide Dogs for the Blind is a national charity dedicated to helping persons who are blind or vision impaired and families of children with autism to achieve improved mobility and independence. 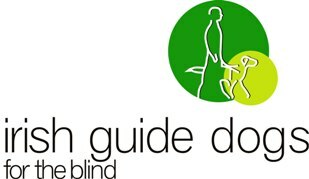 A future where persons who are blind, vision impaired and disabled achieve independence and dignity through our world-class dog and ancillary services. To provide the highest quality of services in partnership with our clients while planning for the future and valuing clients, volunteers and each other. We receive over 85% of our income through voluntary donations and fundraising through a network of volunteers across the country. The remaining 15% is provided through statutory bodies and government agencies. It will cost just over €4 million to run our organisation this year.